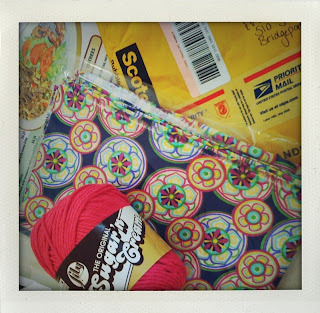 I was so excited when I was recently asked to be part of the "Do Something Crafty" Challenge by Vanessa of the blog, The Crafty Nest. This is what the "Do Something Crafty" Challenge involves: Vanessa sent me & 3 other bloggers the same materials. We had no idea what was coming to us. But we did know that we had 2 weeks to come up with something crafty with those materials. 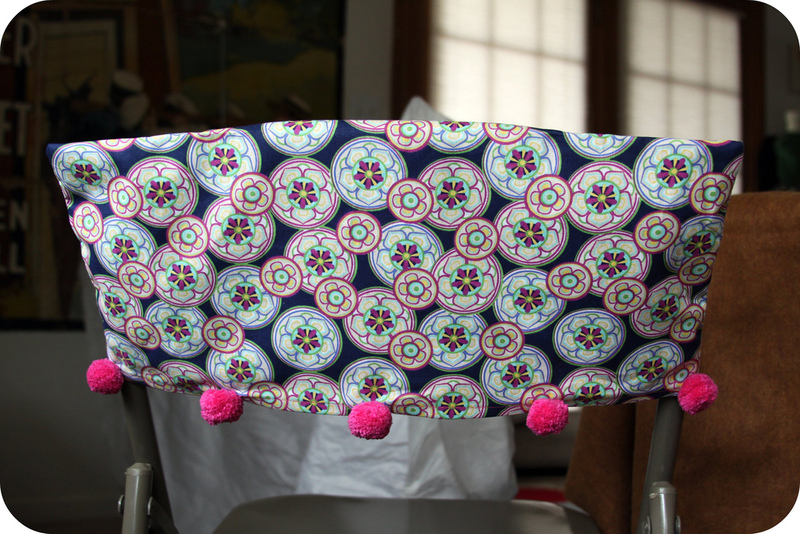 Each of our projects will be featured on The Crafty Nest, beginning September 19th. Voting for your favorite crafty project begins on September 23rd & the winner will be announced September 30th. I thought I'd share the tutorial for the project I submitted. 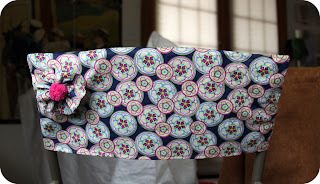 Click HERE to view my project on The Crafty Nest blog. I didn't know what to call these things. So, I just called them "chair top covers". That sounds so lame, but I couldn't think of anything clever. All the clever parts of my brain worked so hard to come up with a project to make with those two supplies, that I just didn't have any cleverness left. haha! 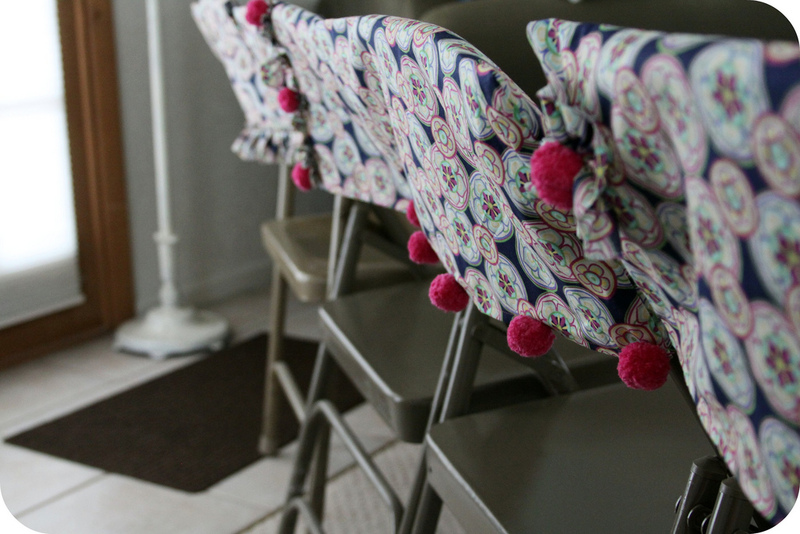 These chair top covers require some sewing, but, if you wanted to, the bulk of the stitching can be done “no-sew" with heat-n-bond tape. I am giving lots of pictures & explanation to help someone who might be a novice sewer. What am I talking about? I'm pretty much a novice sewer. And this project is so easy. It's a rectangle. Folded in half. And stitched on 3 sides. I've got several of these metal chairs around the house, & next door at the church, & they get used quite a bit for different events. But they're not the prettiest when it comes to seating, so I thought I'd spiffy 4 of them up. That's exactly how many chair top covers could be made from this one yard of fabric. 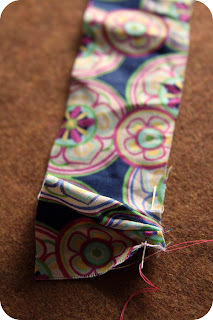 I also used the scraps to embellish them, so I eneded up having ZERO scraps leftover! Of course, you can cover whatever sorts of chairs you wanted to. The backs of my metal chairs measured 18 1/2" across x 8 1/2" tall. I added 1/2" on each side for seam allowance. 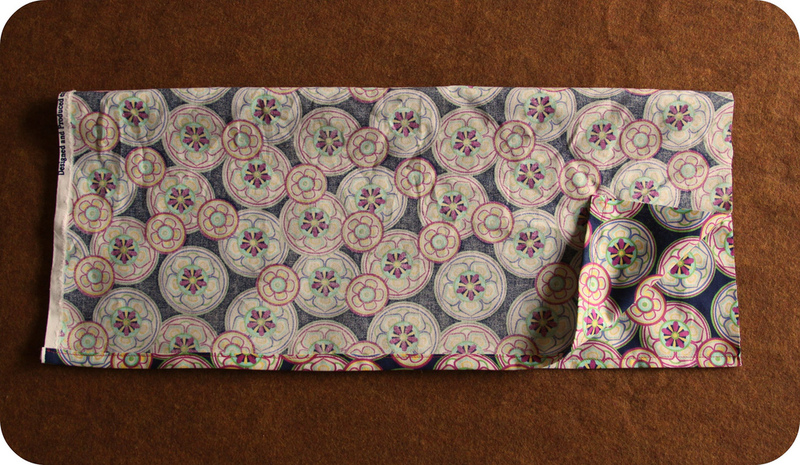 So that means I needed each rectangle piece of fabric to be 19 1/2" x 9 1/2". 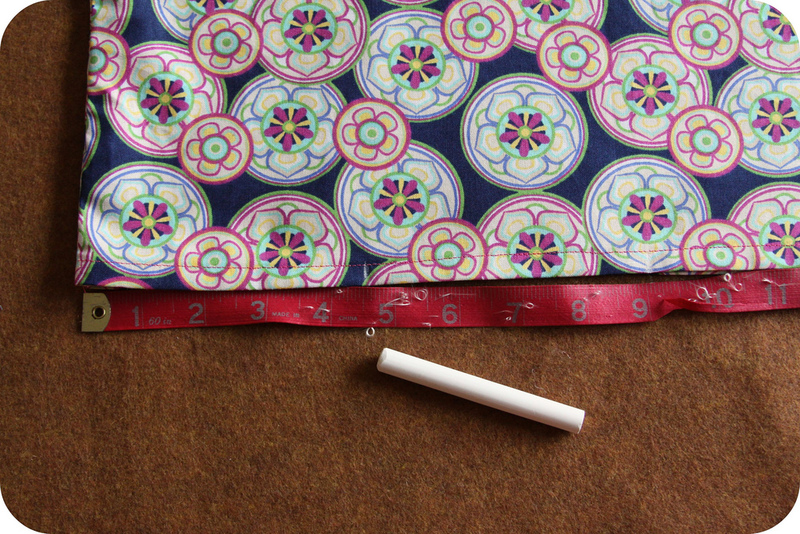 I took my yard of fabric & ironed it into quarters. 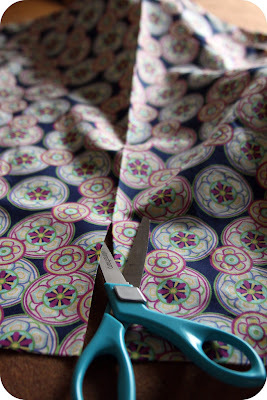 Then I followed along the crease & cut with scissors. 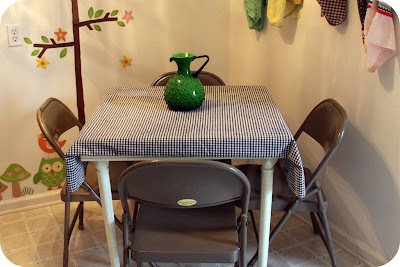 (Before you do this, measure & make sure you are cutting enough fabric to complete your chair covers.) Now I had 4 equal rectangles. They were still a little big, so that's where I cut off the extra strips of fabric. Which meant I had 4 equal pieces of fabric scraps to play with later on in this project. Iron over 1/4" along both bottom edges. (Those would be the long edges.) 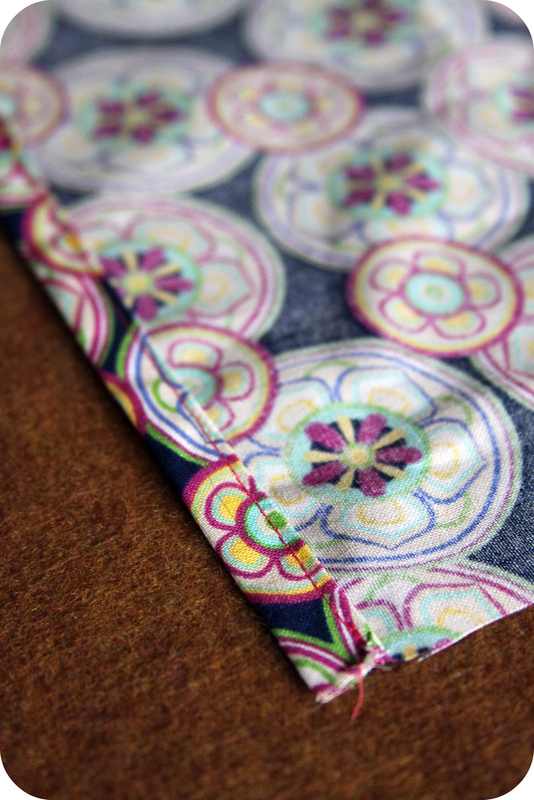 Then, fold over again & iron down another 1/4". 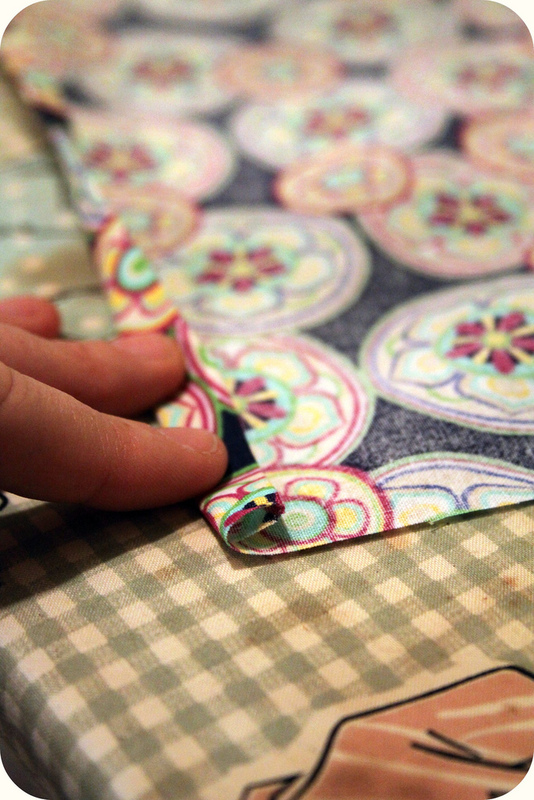 Now stitch along the bottom edges to secure the seams. 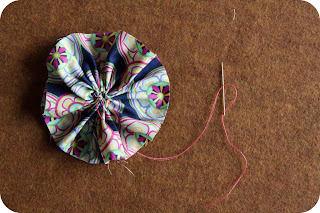 Next you'll want to fold your fabric so that the right side of the fabric (the side that will be showing when it's all done) is touching. Bottom edge should touch bottom edge, sides should touch sides. 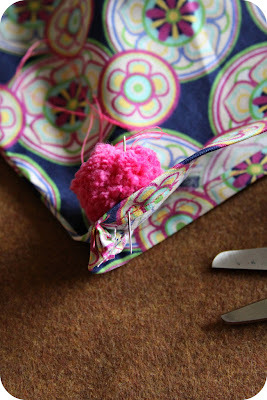 Pin in place if you want to, to prevent the fabric from sliding around. 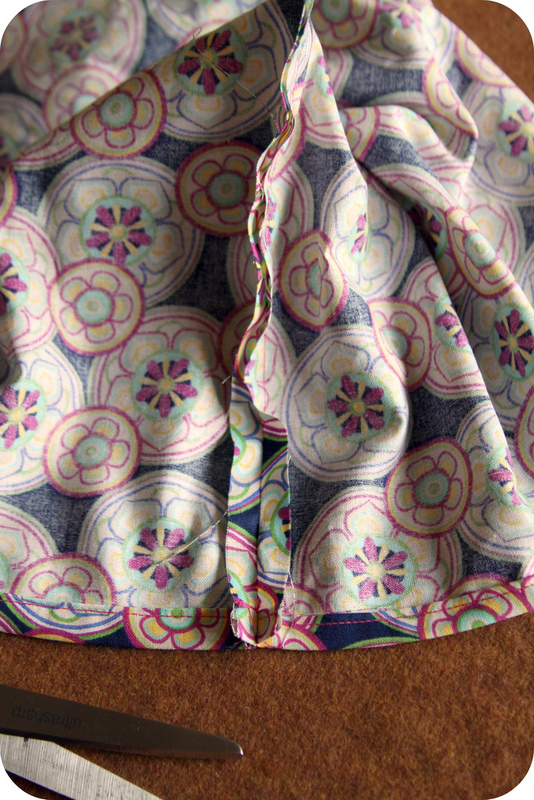 Now stitch along both short sides with 1/2" seam allowance. Turn the fabric inside out & open up the sides seams so you can iron them flat. 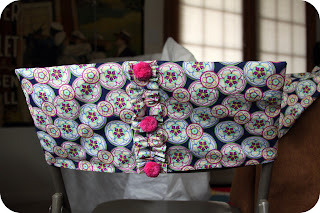 Now you're done with the base of each chair top cover! And the real fun begins....the embellishing!! Instead of making all the chair covers the same, I opted to create 4 unique styles, all only slightly varying. I whipped out 9 pom-poms one evening while watching Project Runway. 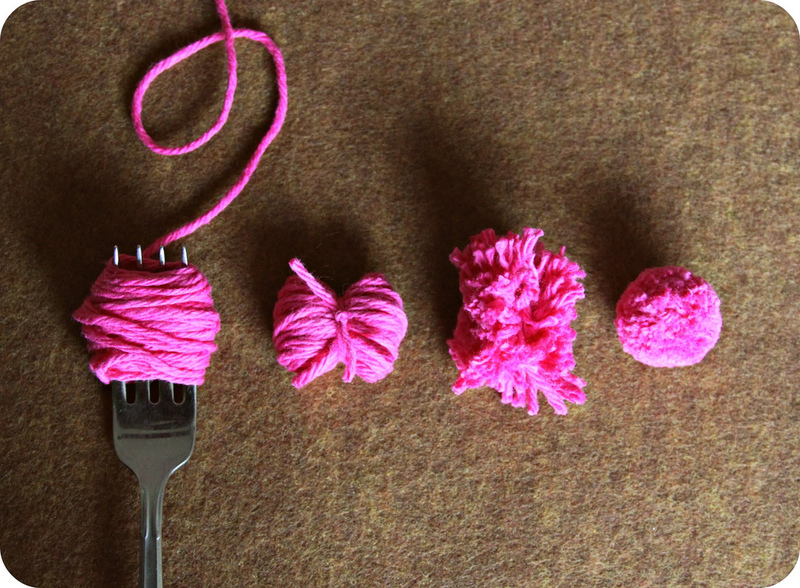 I learned a really cool trick for making pom-poms that requires a fork. Click HERE for the fork trick. I had 4 equal strips of fabric leftover. Remember? 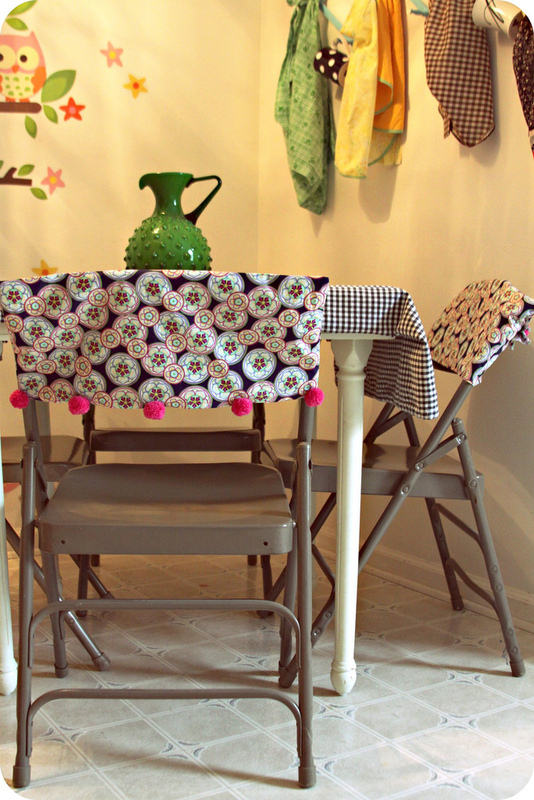 And I left them in their raw state when stitching them as embellishments onto the chair top covers. 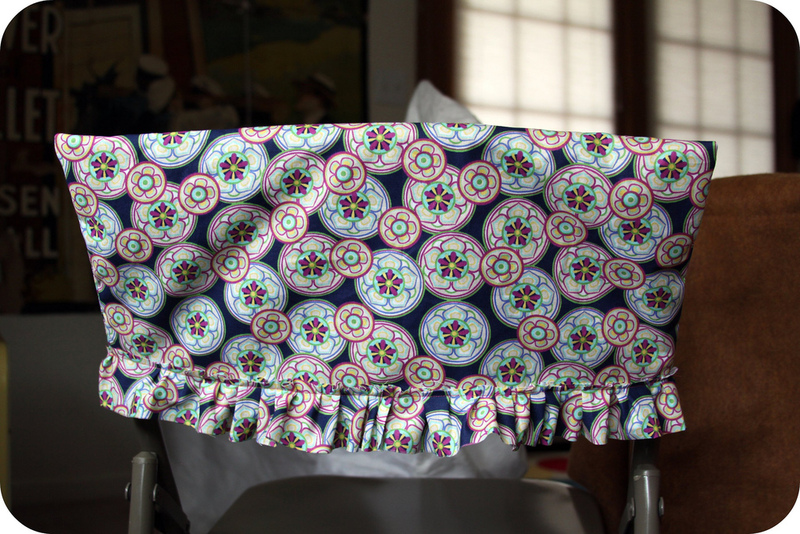 Chair cover #1 got a little rosette in the corner with one of the fabric scraps, & a pom-pom smack in the middle. Hand-stitch the fabric scrap along one edge to form a ruffled circle. Stitch in place to secure. Chair cover #2 got ruffles all along the bottom edge using 2 of the fabric scraps. Gather the strips of leftover fabric with a needle & thread to make a long ruffle. Pin in place along the bottom of the chair cover & machine-stitch in place. 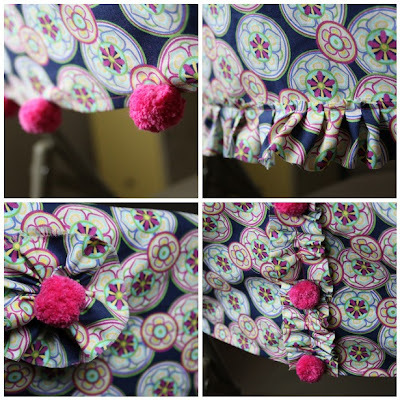 Chair cover #3 got five pom-poms hand-stitched along the bottom edge. 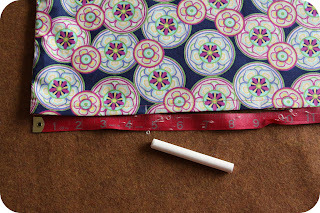 Measure & mark with chalk for even placement before stitching. Chair cover #4 got the last scrap of fabric. 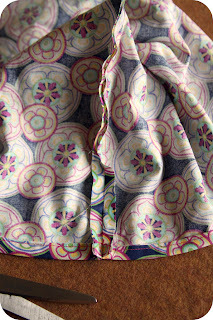 Use a needle & thread to stitch along the center of the fabric strip to create a ruffle. 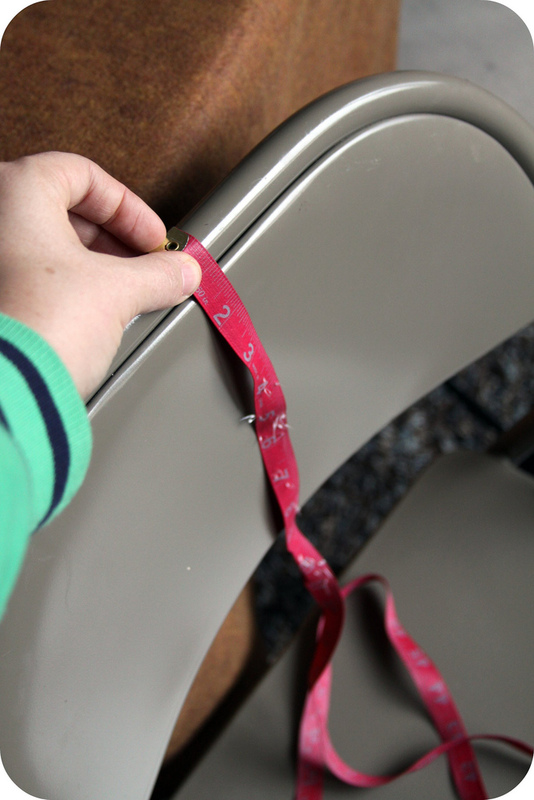 Pin in place along the vertical center of the chair cover. Machine-stitch to secure. This project can be adapted to all sorts of occasions or holidays. 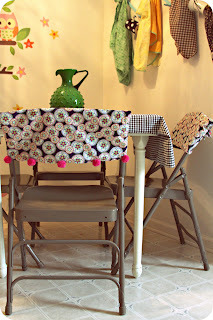 I even created chair top covers for a Crafty Night I lead every month, using felt. I plan on screenprinting an image on the back of each cover with white ink. It just dresses things up a little & brings everything together. Hope you like this project, & that it inspires you! 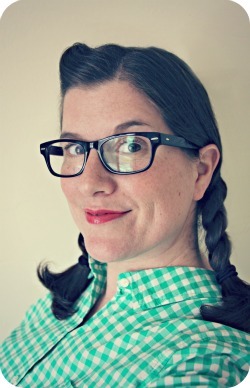 And I do hope you plan on checking out all the projects submitted by the other challengers. I can't wait to see what everyone made!